For which type of housing might we expect to see increased demand in the coming months and years? Trick question, cause if the economic inequality trends of the last two or three decades continue, the answer may well be both. But hey, no need to dwell on that. 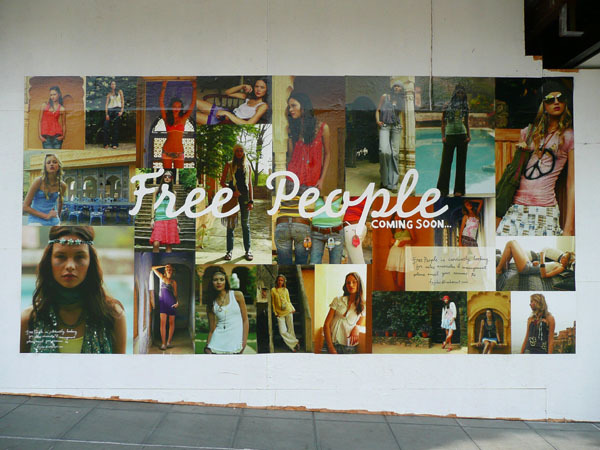 Walk two blocks north of here on 1st Ave and feel good to know that Free People are (is?) coming. Clothes for rich women who want to dress up like indigent bohemians. Full circle like a mobius strip. Posted by dan bertolet on	Sunday, October 12th, 2008 at 9:59 pm. You can follow any responses to this entry through the RSS 2.0 feed. You can leave a response, or trackback from your own site. Hilarious. This has to be one of my favorite posts of all time. Damn. Free People? Dont we already have Anthropologie for the bohemian-ish place no one shops at? 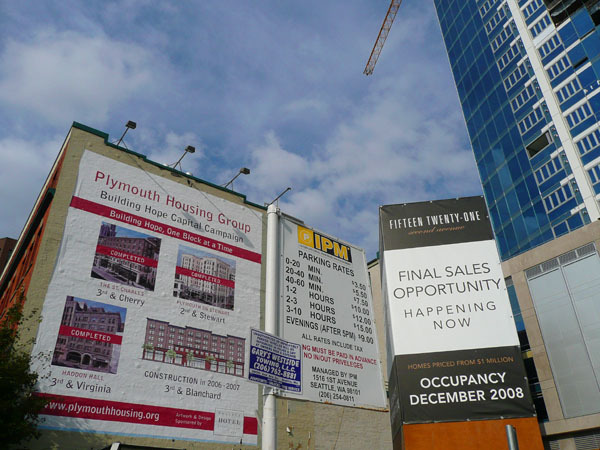 The parking lot ad represents a third “housing” modality likely to be in demand.